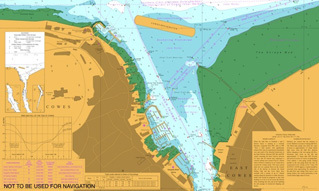 There are frequent ferry movements in Cowes Harbour and its approaches. 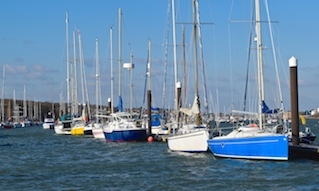 Red Funnel vehicle ferries and Red Jet passenger ferries can only safely navigate within the Inner Fairway. Red Funnel vehicle ferries berth between the Union Flag shed and the Chain Ferry on the East Cowes side of the River Medina. 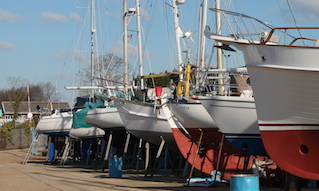 The vehicle ferries will turn to port at No. 6 buoy to approach their berth. Outbound vessels should proceed with caution in the vicinity. Red Jet passenger ferries exhibit a flashing yellow light when underway and swing to starboard after one short blast, using much of the Inner Fairway. 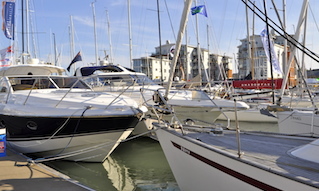 Vessels should not overtake on the starboard side of the Red Jets when they approach their berth at Jubilee Pontoon, Town Quay. Red Funnel's fleet of vehicle ferries operate the sheltered central route from the Isle of Wight between East Cowes and Southampton Docks. See the Vehicle Ferry Timetables. 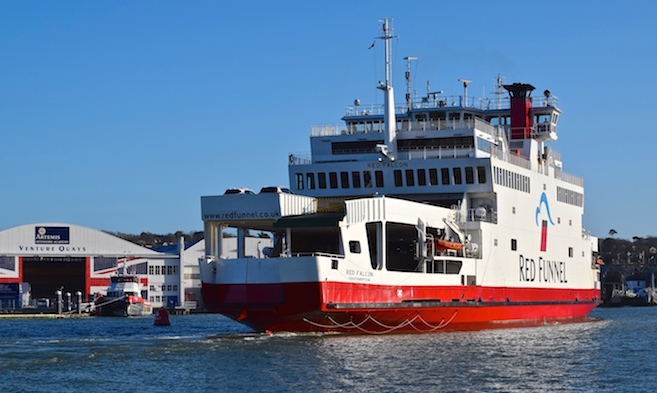 The Red Jet Hi-Speed ferry timetable has sailings every 30 minutes at peak times including Saturdays and every 60 minutes at off-peak times including Sundays. See the Red Jet Passenger Timetables. The crossing takes 23-25 minutes. Additional services operate during major events such as the Isle of Wight Festival. Unlike the Red Funnel vehicle ferry route from East Cowes, there are no sailings on Christmas Day.